An Oregon health care organization has been working to improve quality and transparency throughout the state by implementing a new public reporting initiative. 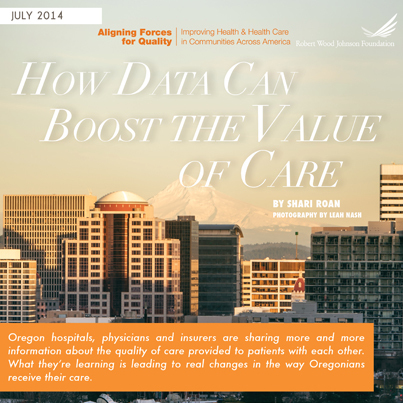 The Oregon Health Care Quality Corporation, one of RWJF’s Aligning Forces for Quality communities, has been analyzing and reporting claims data from insurers and Medicaid organizations in order to offer consumers, hospitals, and clinics an unbiased comparison of provider ratings. The data collected now covers about 3.1 million of the state’s 4 million residents, and has helped clinicians identify gaps in patient care, decrease ER visits, and avoid medical overuse. This program is a part of a larger effort by Aligning Forces for Quality to boost the overall quality of health care in communities across the country and provide models for national reform.